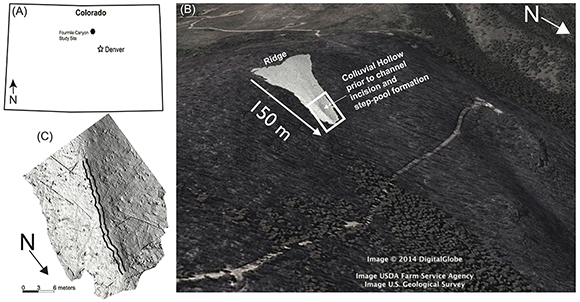 A colluvial hollow in Fourmile Canyon, Colorado that was present after the 2010 Fourmile Canyon wildfire transitioned to a fluvial channel with steps and pools while retaining the original hollow roughness after an intense 2013 flood. The changes were measured with a tripod-mounted terrestrial laser scanner from UNAVCO. 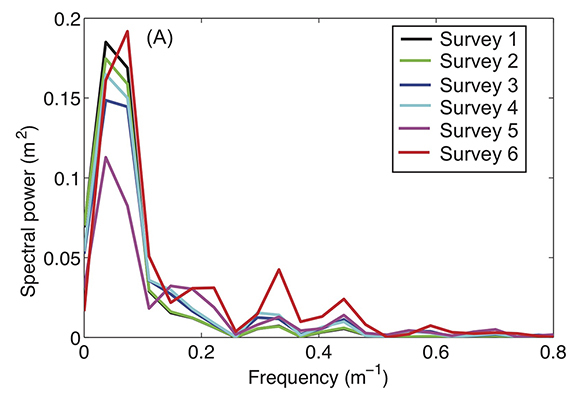 The results show the usefulness of such scanners for measuring geomorphic changes. Understanding landscape changes can help determine possible future hazards and how water and fire change topography. A colluvial hollow is a U-shaped trough on a hill slope where the weathering bedrock creates soil with limited cohesion that fills the trough. When water, fire or other major changes are introduced, hollows can become part of the channel network, conveying sediment from water erosion, landslides, or debris flows. Understanding the changing landscape can help to determine the risks of such hazards to nearby communities. Here researchers use a tripod-mounted Riegl VZ-400 LIDAR scanner to quantify changes in the morphology of a hillslope that experienced a fire and then a significant flood. After the 2010 Fourmile Canyon wildfire in Colorado, the slope consisted of a well-formed colluvial hollow and minimal vegetative debris. Measurements were made after precipitation events on 5 occasions and then after the significant flood of 2013. The colluvial hollow transitioned to a fluvial channel due to several precipitation events after the fire. Later, the 2013 flood caused the channel to convert to a series of steps and plunge pools as large torrents of water altered the loose soil. Interestingly, the altered landscape maintained the same roughness spacing as the original hollow (i.e., same periodicity to the major step separations). Moreover, flow instabilities created by steps have been shown to promote the conversion of flowing water to a debris-flow. These results can inform land use planners regarding the potential for changes and hazards related to extreme events such as fire and flood. 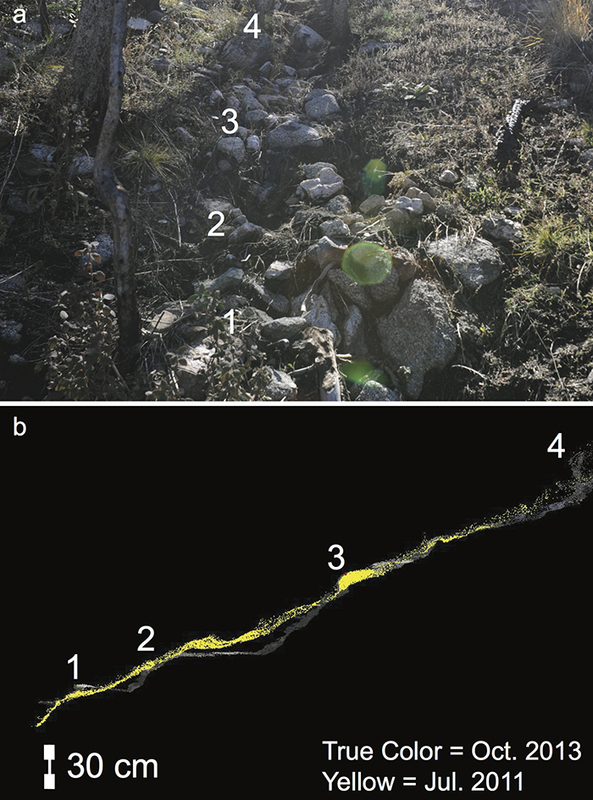 F. K. Rengers et al., The evolution of a colluvial hollow to a fluvial channel with periodic steps following two transformational disturbances: A wildfire and a historic flood, Geomorphology 309 (2018) 121–130, doi: 10.1016/j.geomorph.2018.01.003.